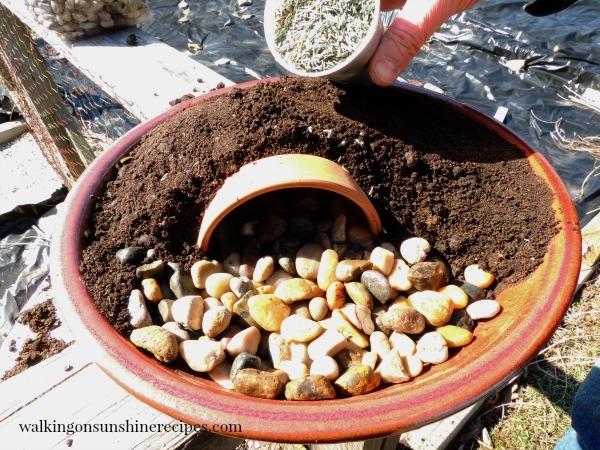 A fun project to do for the family is to plant a Resurrection Garden that will bloom just in time for Easter! 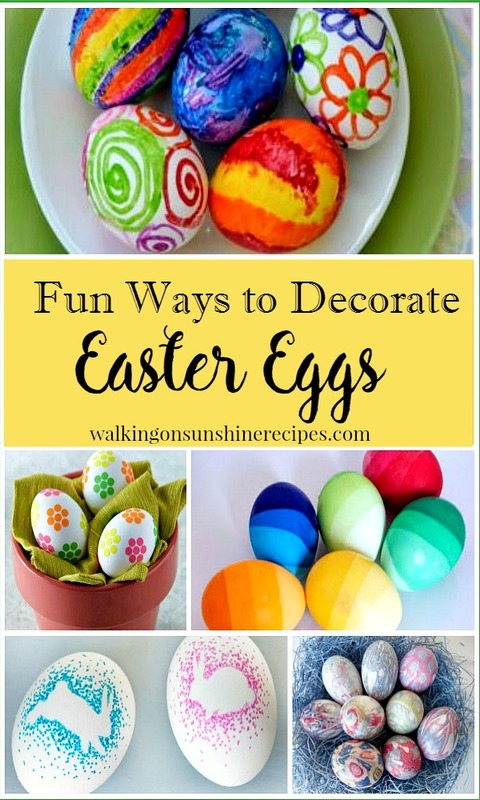 Today I’m sharing with you a project for a DIY Resurrection Garden for Easter Decorating. 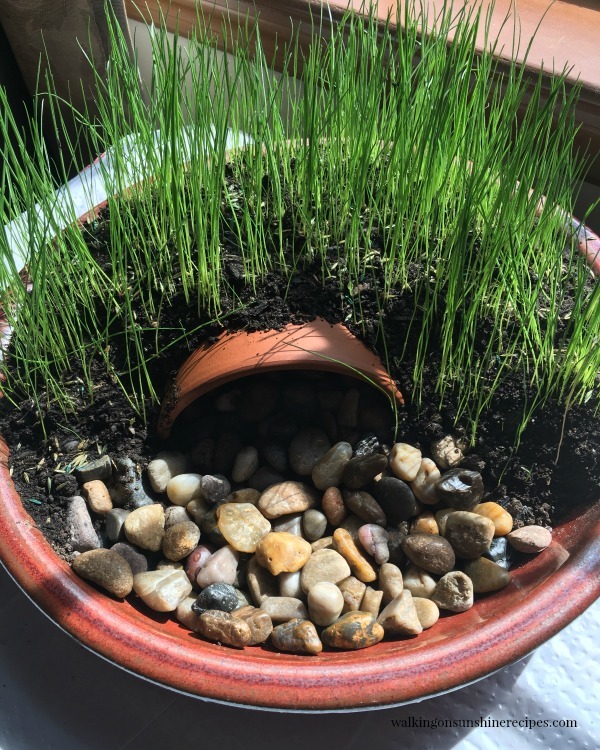 I have waited almost a year to share this project with you! 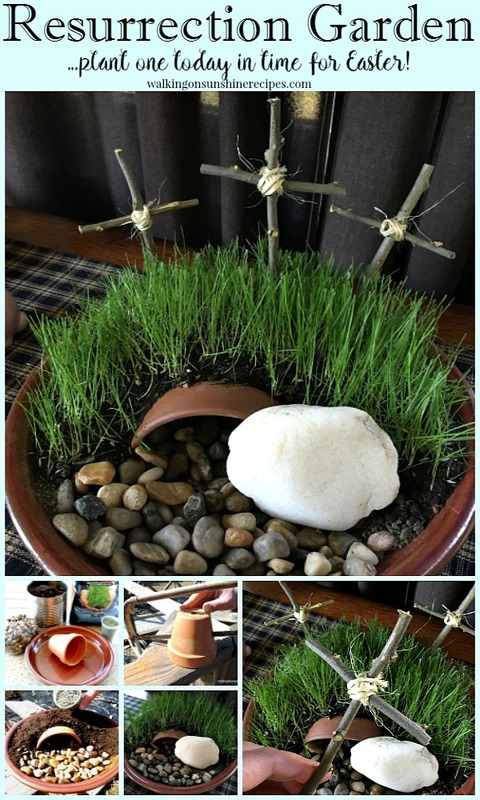 My hubby and I put our Resurrection Garden in the photos together last year and then used it for our Easter decorating. It turned out great and was such an easy project to do. 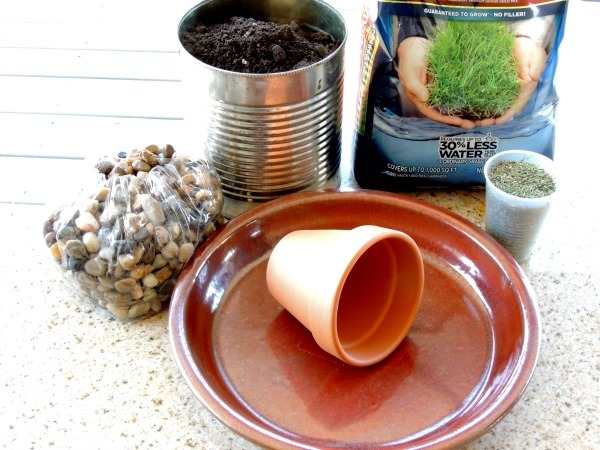 I know the kids would love helping you plant the grass seeds and watering every day as well. 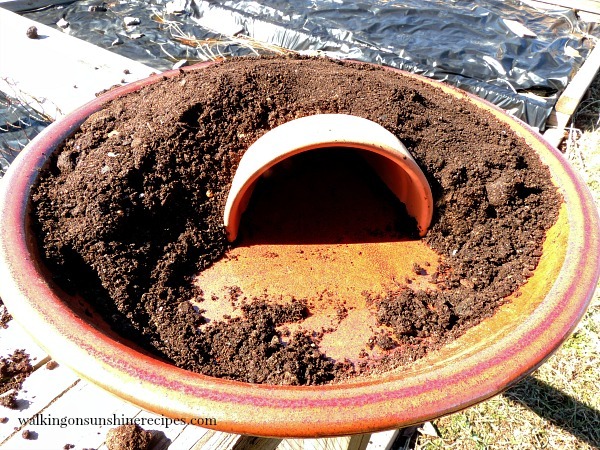 The instructions are pretty easy on how to plant a resurrection garden on your own too! I had originally planned on using our Resurrection Garden as our centerpiece for the dining room table, but then decided to keep it on the sideboard right next to the table. It look great and was the perfect conversation piece when family came over. Make sure you check out the shopping list at the end of this project. 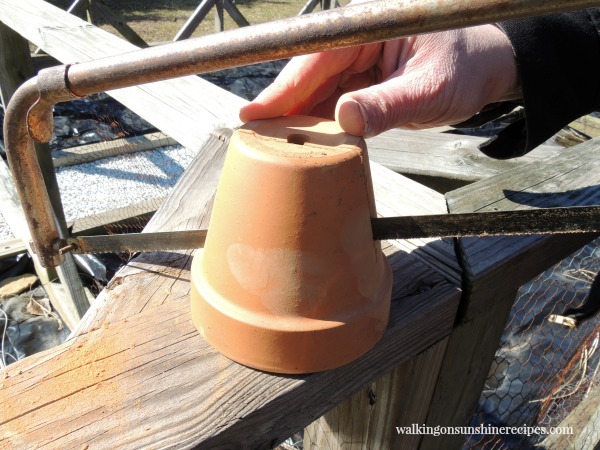 Using the hacksaw, cut the small clay pot in half. 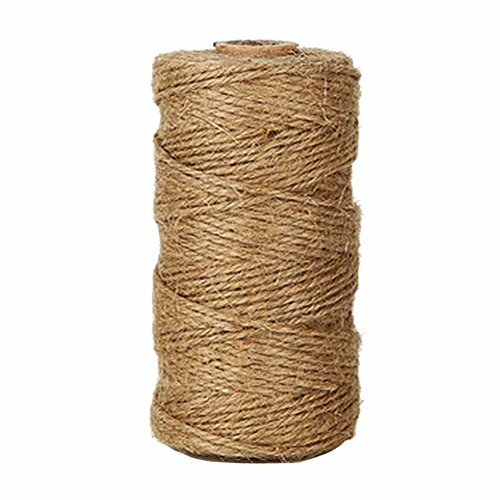 This will help create the mound for the tomb. 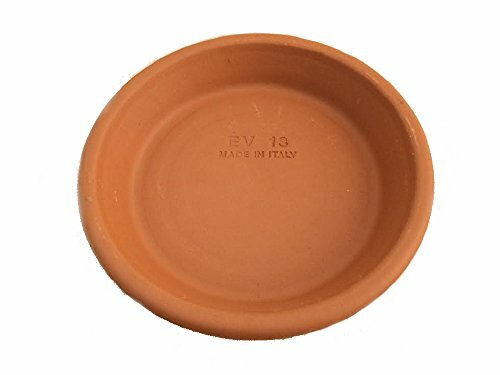 Place the clay saucer in the decorative planter dish and then add dirt around the clay pot. 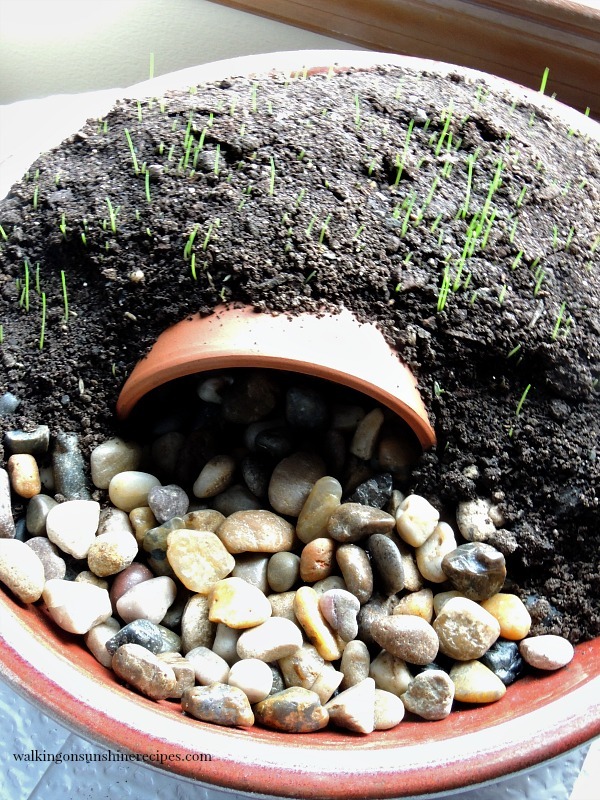 Remember, you are forming the ground around the tomb for your resurrection garden. Leave space in front for the river rock. 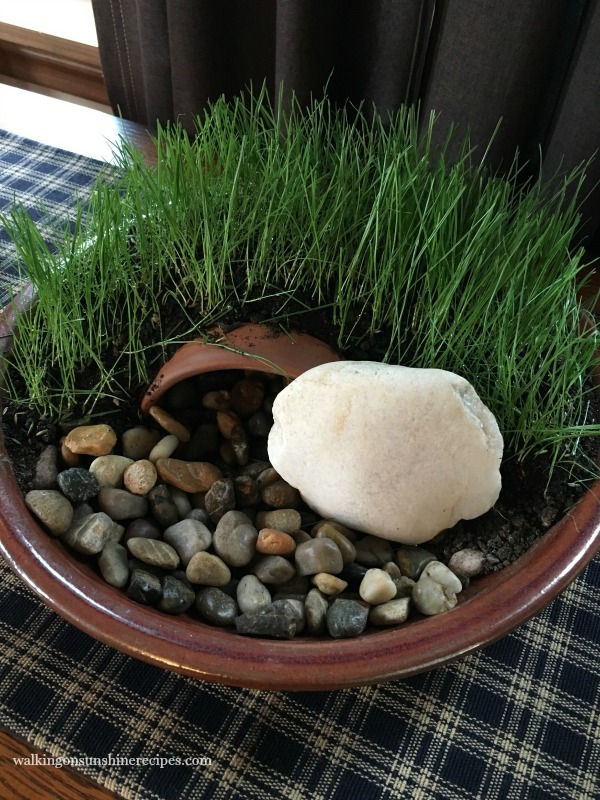 Add the river rock in front of the tomb opening and then add the grass seed. 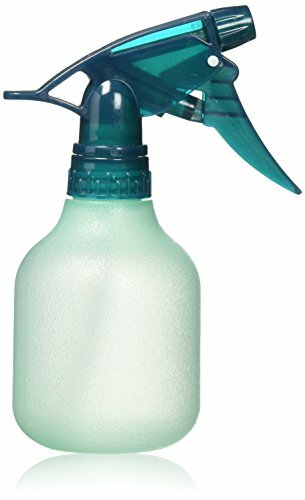 Place the resurrection garden in a sunny location and water it daily using a spray bottle. 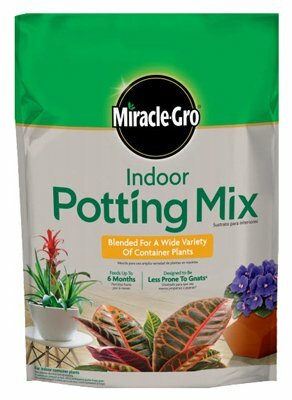 Do not use a watering can. You will have a mess on your hands! After about a week you will start to see grass shooting up through the dirt. 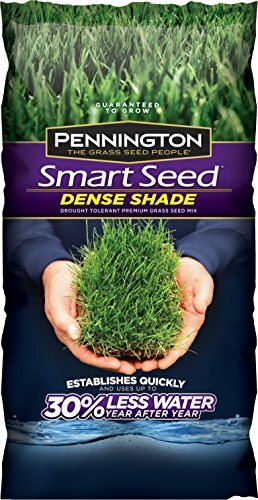 You’re going to want to rotate the planter so all the grass doesn’t lean or grow towards the sun. After a few weeks you’ll have a nice amount of grass growing. And yes, you should trim it. 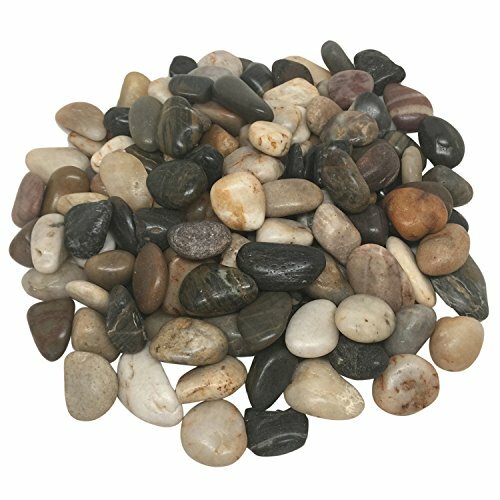 Find a stone that you can use to place in front of the tomb. 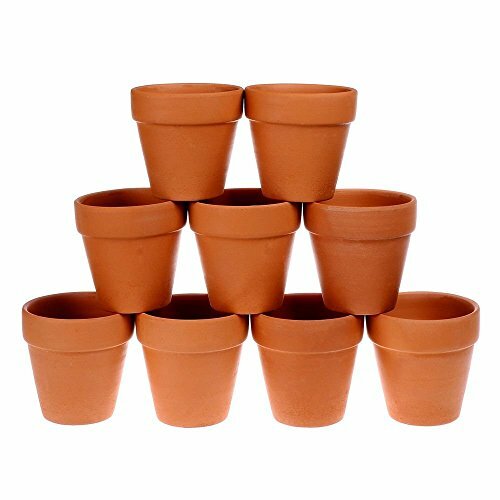 You can purchase one or just go a hunt in the garden. We found this one at the lake that is near our house. 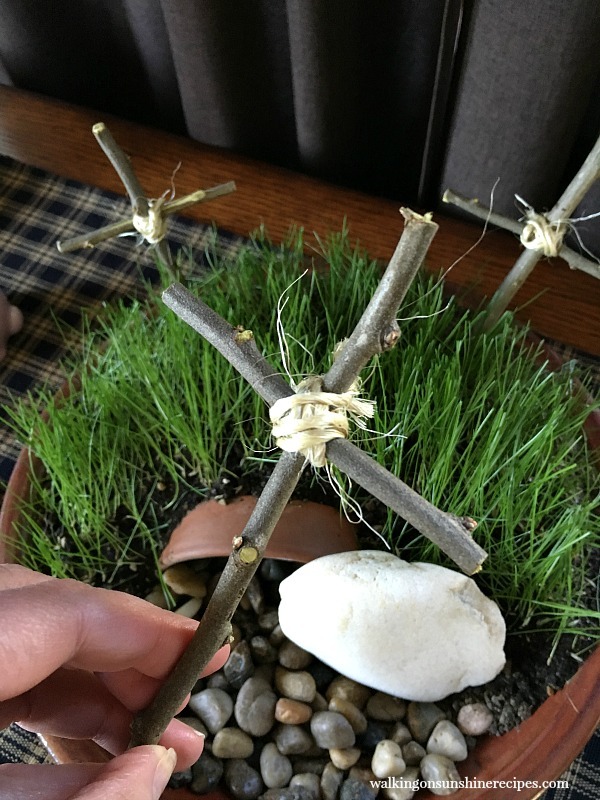 We used twigs found in the yard to create the crosses. 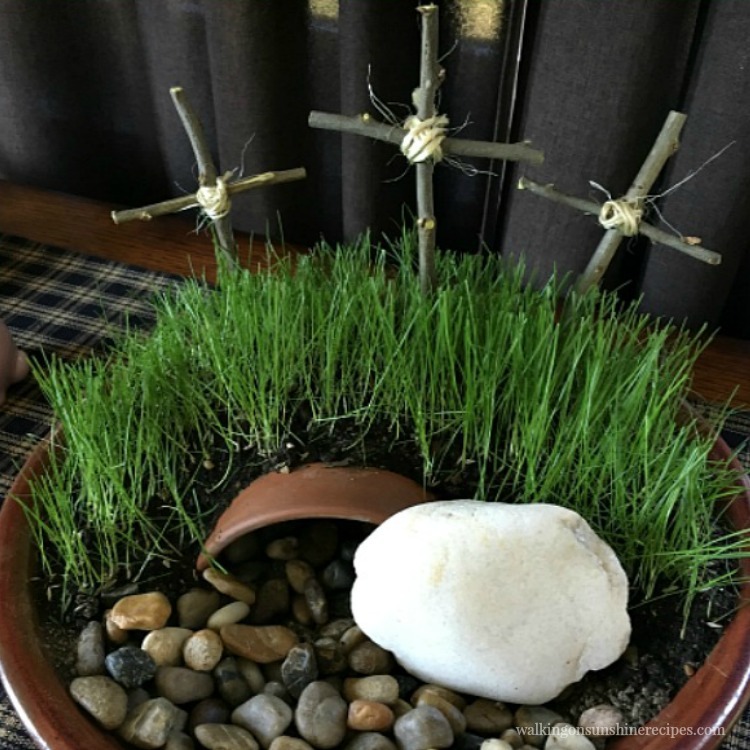 Place the crosses in the resurrection garden and find the perfect place to display. I put our’s in the dining room on the buffet table in front of two nice sized windows. It continued to grow and was a great conversation starter on Easter Sunday when our family and friends came over for dinner. I loved this project and wish we would have done it when our children were younger. 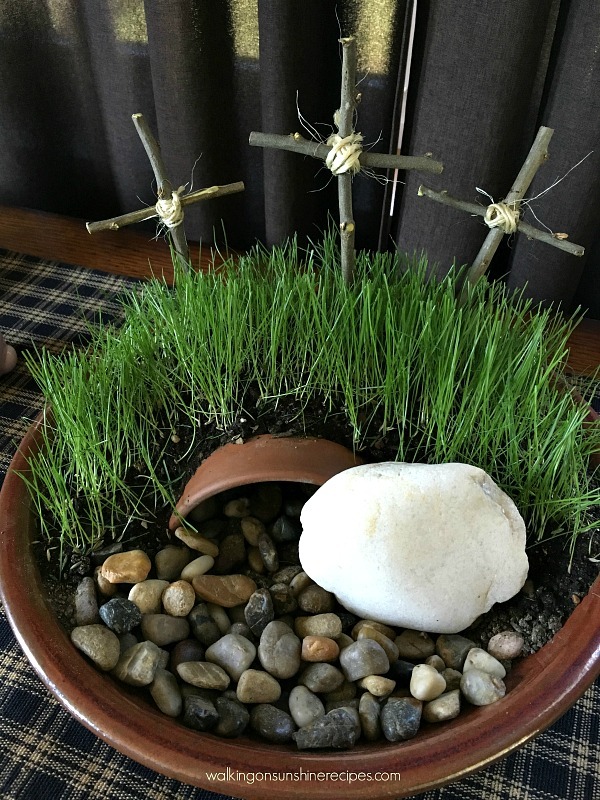 When Easter was over, we moved the planter outside but the grass soon died. So we put placed the planter in the garden shed and left it alone until just a few days ago…because it’s time to get ready for Easter again! After removing the old grass we put a fresh layer of soil on top and planted new grass seed. I can’t wait to see how our garden turns out again this year! That really came out nice. What a great teaching project for kids. I have seen these before and plan to make one. Maybe this year is the time. Love it. So glad you shared with us at Merry Monday. Shared to my FB page.